Refer official Restyle Fitness Website to view full Terms & Conditions. Get fit with the help of Restyle Fitness equipment. It one of the UK’s largest specialists of return home fitness products. Even though the products are not new they are as good as new which have few minor defects that can not affect the machines. Hence, the products are at a very low cost. It provides vibration plates, treadmills, exercise bikes, multi-gyms and much more at restylefitness.co.uk. You can get 70% off discount on the gears. Plus, redeem the Restyle fitness discount codes from Dealslands website and save even more on it. The manufacturers like Nordic Track, Weslo, Live Strong, and other are sold here. Once you have placed the order the company will provide you with a confirmation email. You can track down your order then onwards. The delivery is free of charge and will be delivered only on working days. It will be delivered to you within 5-7 working days. If you are not satisfied with the product you can return it back to the store within 7 days of delivery. The company will refund you the amount by deducting postage cost. You can contact customer service on 01924835656. Returning the products is solely based upon you. 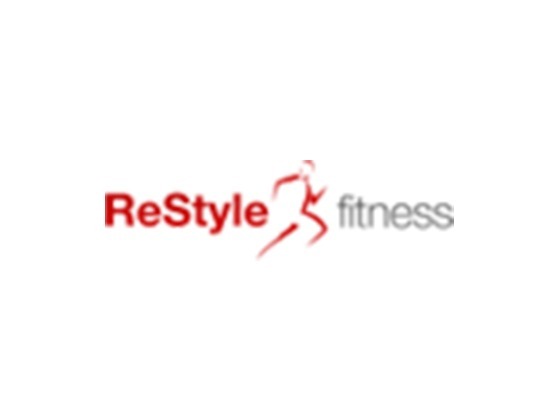 You can contact their customer service on 01924835656 or email them on sales@restylefitness.co.uk. The working hours of the company are 9 am – 4:30 pm Monday to Thursday. On Fridays they are available from 9 am to 4 pm. Up to 72% off Treadmills. Sign up to get special offers and discounts. Up to 75% off on all the products. Up to 10% off your first order. These are some of Restyle Fitness voucher which can provide you with a more delightful discount.